Love, Ifa ! : im crazy of FASHION ! im crazy of FASHION ! ehem . assalamualaikum pimple peeps ! yeahh ! this entry fully brkaitan dgan fesyen ! who does not loike it . better get out from my official blog ! hell yeah ! i am crazy of fashion ! tpi . tak penah plak nak fesyen bagai or watever . ! but ! truthly ! im so IN LOVE with fesyen ..! my sense of fesyen . low !! hahahah ~ thumbs down ! mne reti sgat nak fesyen_2 bagai ! but ~ u know . looks at others fesyen sense ! i scream like WHOOAAA ! cool !!! THUMBS UP ! while everybody else are busying get ready for school ..
i just woke up . yawn at first sight ! and thenn ~~ stop ! not going to school ! but opening thiss lappy and start BLOGWALKING ! know what ? i found this blog dude ! her blog . tell a lot about fesyen ! her shoes . cool ! never want to talk ! so AWESOME ! and then . u see all the link about fesyen ? try it out ! i know ! all of u gonna fall in love with the links ! ahhaha ~ really meant it ! 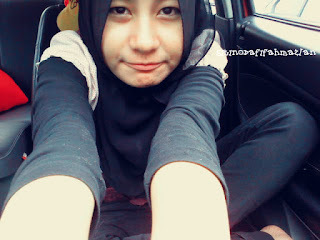 #me, dah cba dah ! go check out their blog ! i had fallen for it ! go on walking there ! it will be a lot of fun ! looking at their cool stuff . their cute face . or . their pretty face . with their GREAT SENSE OF FASHION ! btw . i really really are adore them !